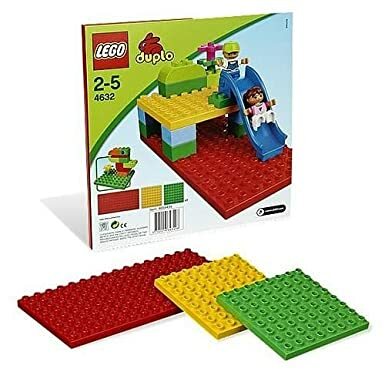 BRICK STAR: We Got Our DUPLO Thomas the Train Lot from eBay! 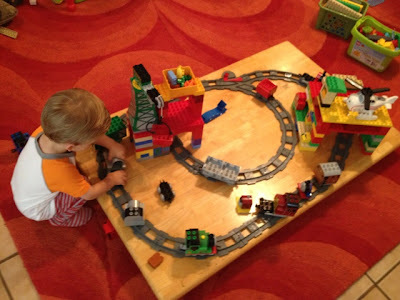 We Got Our DUPLO Thomas the Train Lot from eBay! So we got our DUPLO Thomas the Train Lot we won from the eBay auction! My husband removed legs from an old table we had lying around and we set up the track on it. We also built a couple tunnels out of all the DUPLO bricks and large plates we already had to make it a little more interesting and engaging. The little guy is really getting into it.